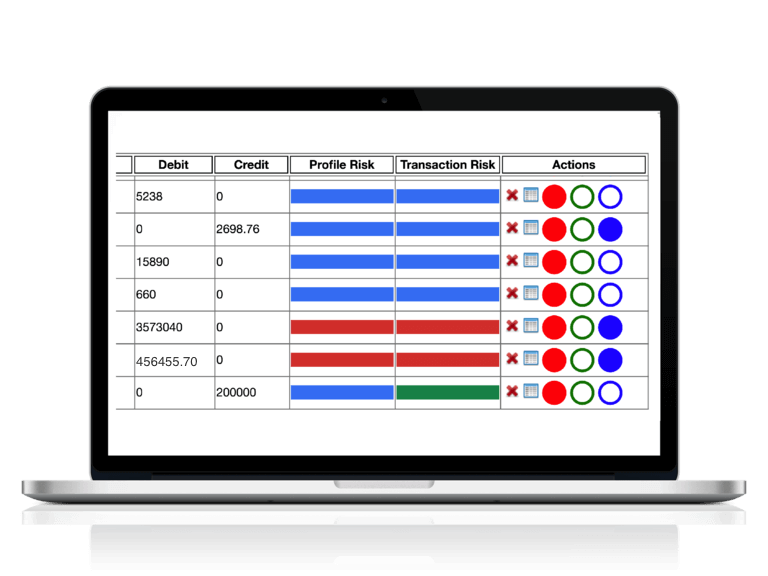 Your auditor and AML supervisor expect to see evidence of customer risk profiling and account activity monitoring. 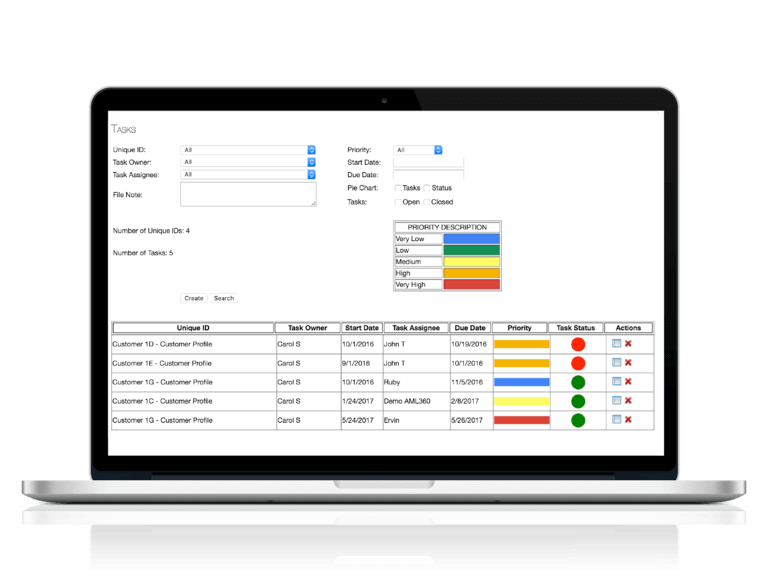 This requires a system capable of a work process flow and maintenance of record keeping. In doing so, independent third parties can understand the judgement and determinations made. The AML360 case management register delivers from all corners of regulatory expectation. 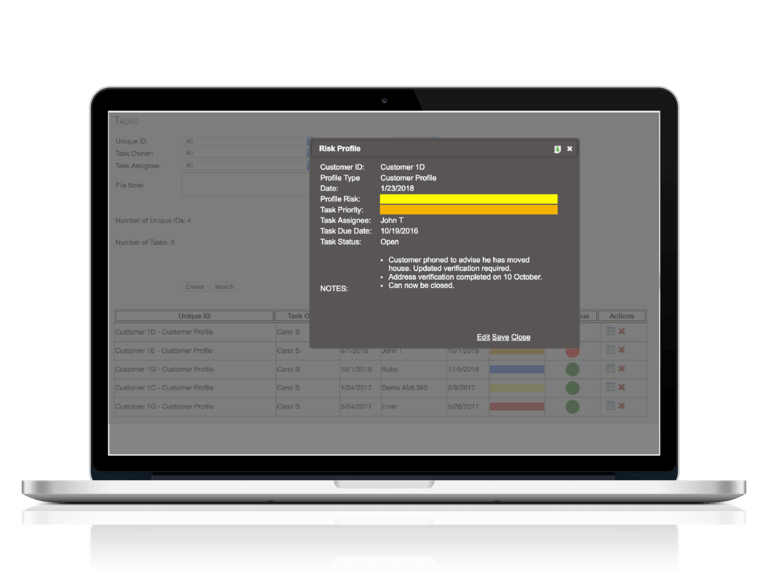 The AML Compliance Officer can quickly track open and closed cases. Set the deadline date, updates or closure requirements. Keep a running record of all actions and determinations made. Allocate responsible persons for completing each task. Drill down filters are available for ongoing analysis. The register displays higher risk status. 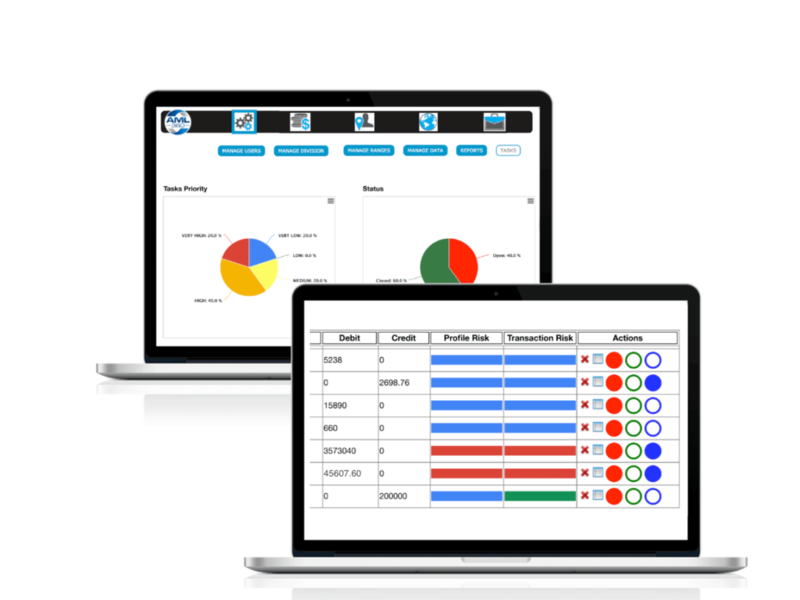 The case management risk register provides a visual display of open and closed cases, along with their colour coded priority level. An editable file note for each case entry records actions and determinations made. This is the type of record keeping your business should provide to auditors and AML supervisors. Blue indicators highlight those cases that have not yet commenced. 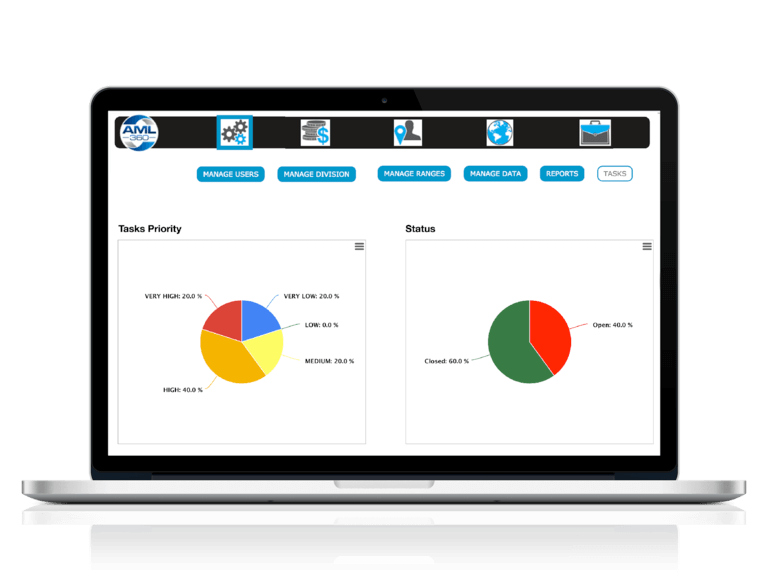 This allows your AML Compliance Officer to manage allocation of resources with efficiency. The proportion of open and closed cases are displayed in charts, along with the proportion of risk status across all existing cases.